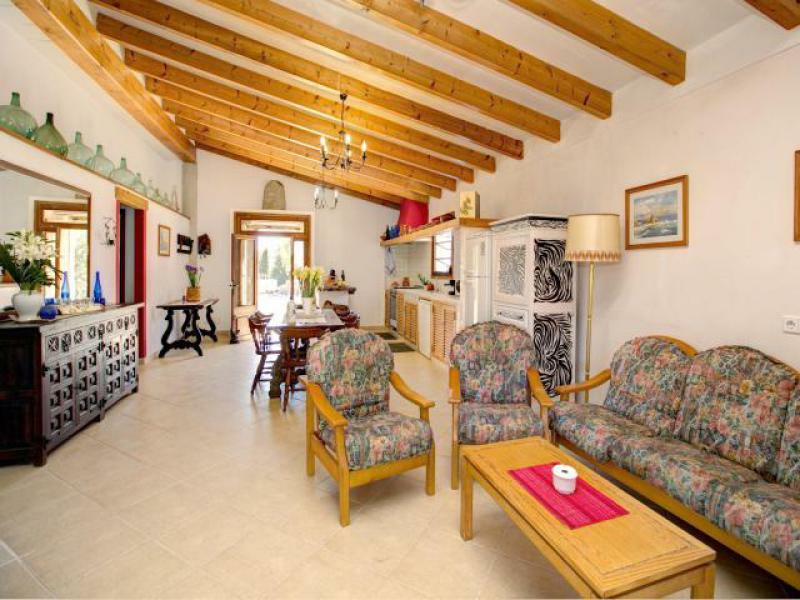 3 Bedroom, 2 Bathroom Villa with Mountain View and a Private Swimming Pool , Air Conditioning, WiFi, Table Tennis, Satellite TV, near Golf, Sleeps a maximum of 6 people. 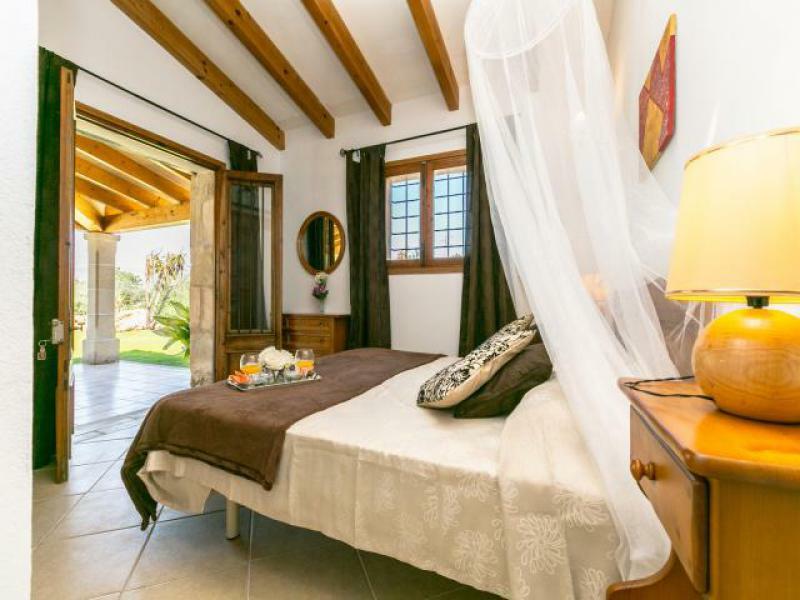 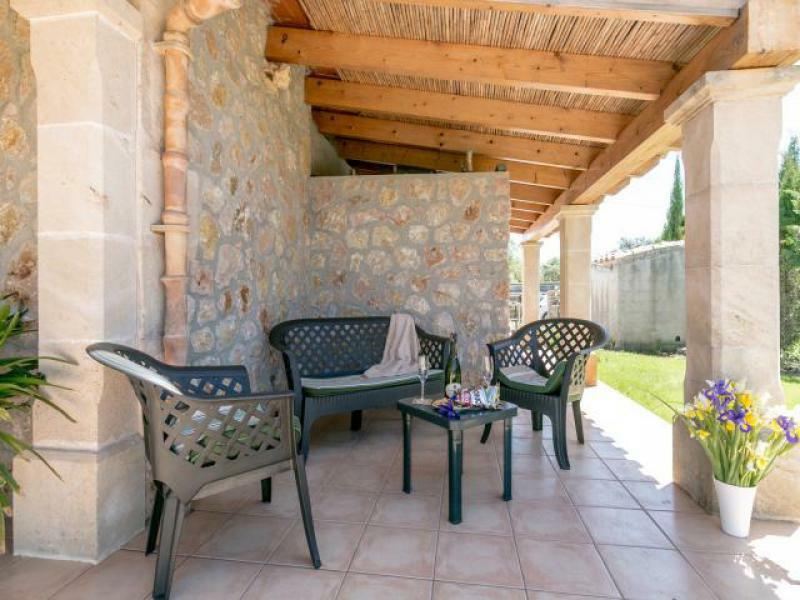 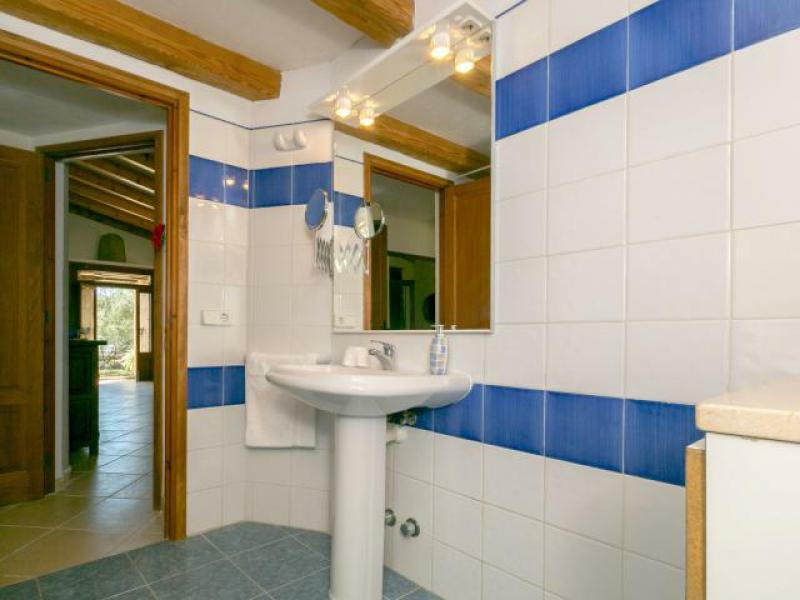 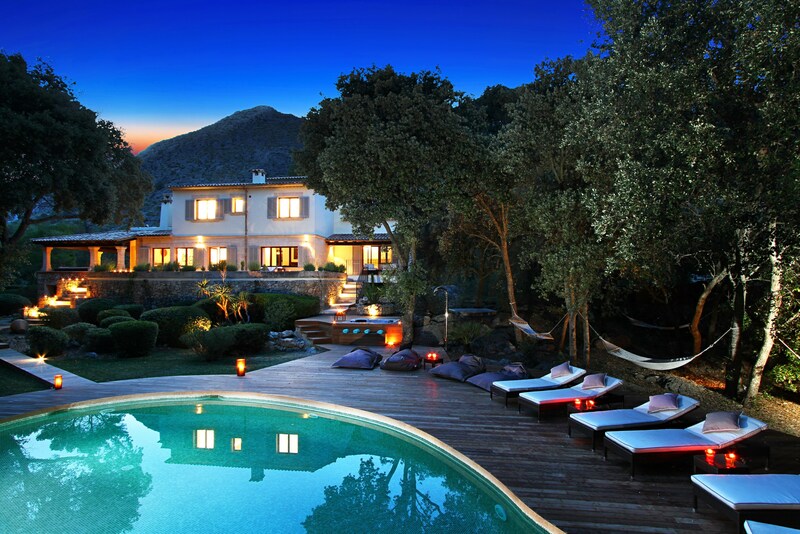 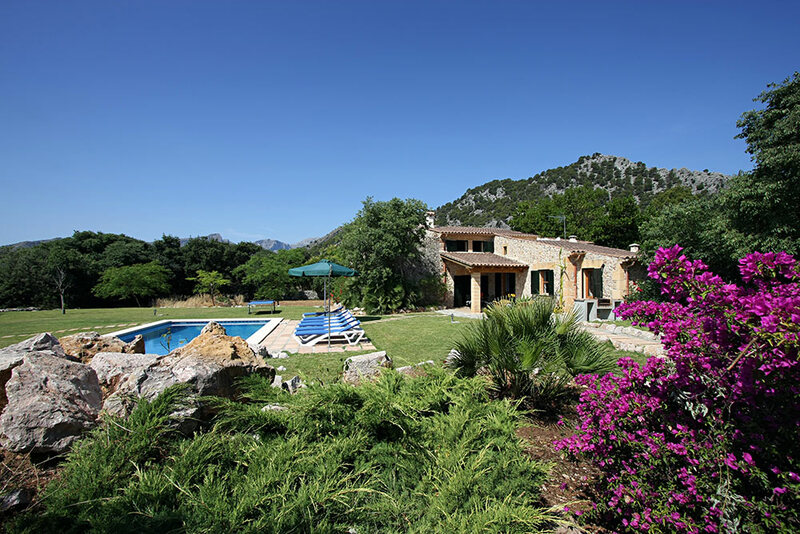 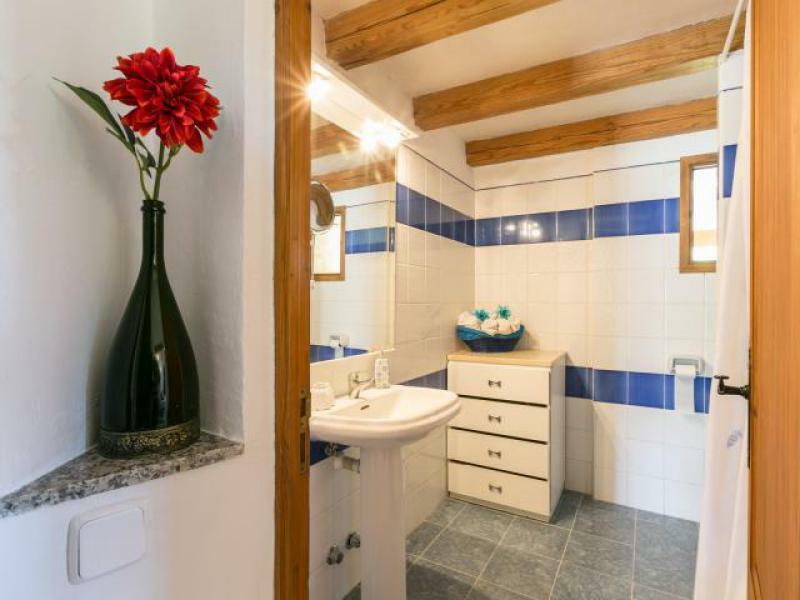 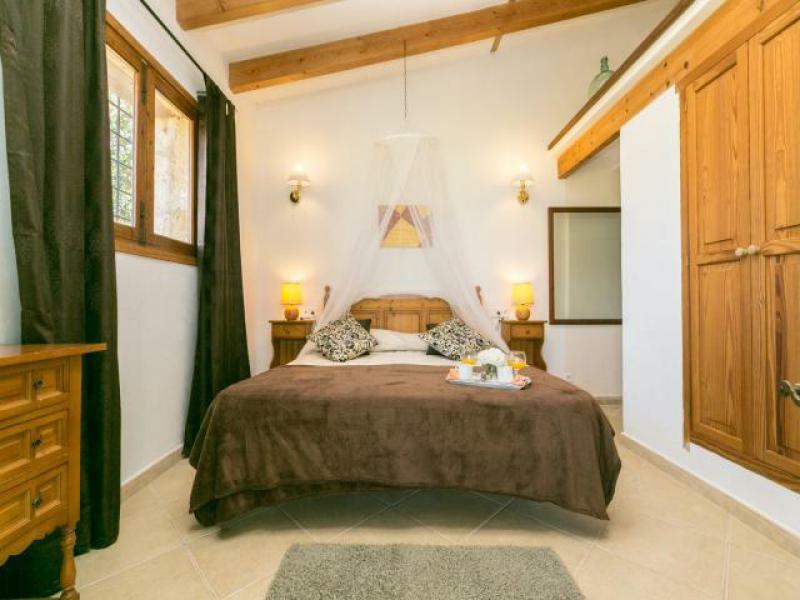 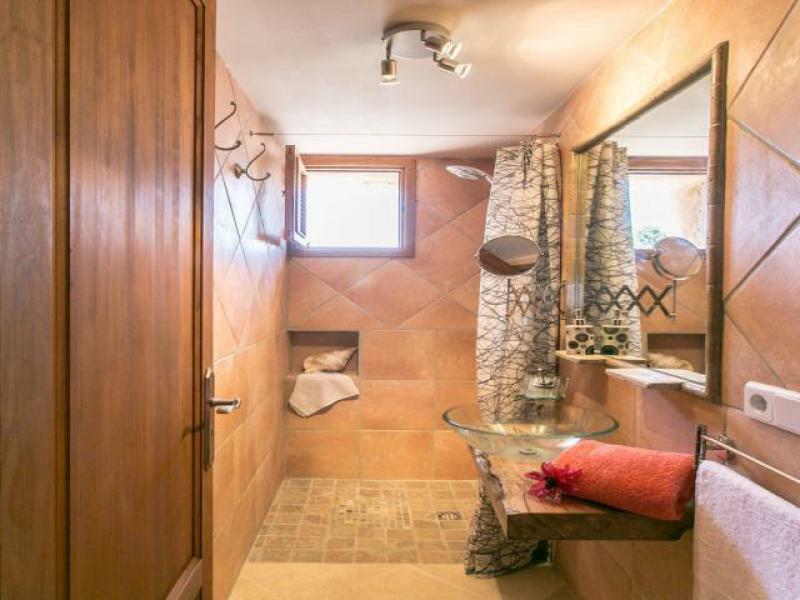 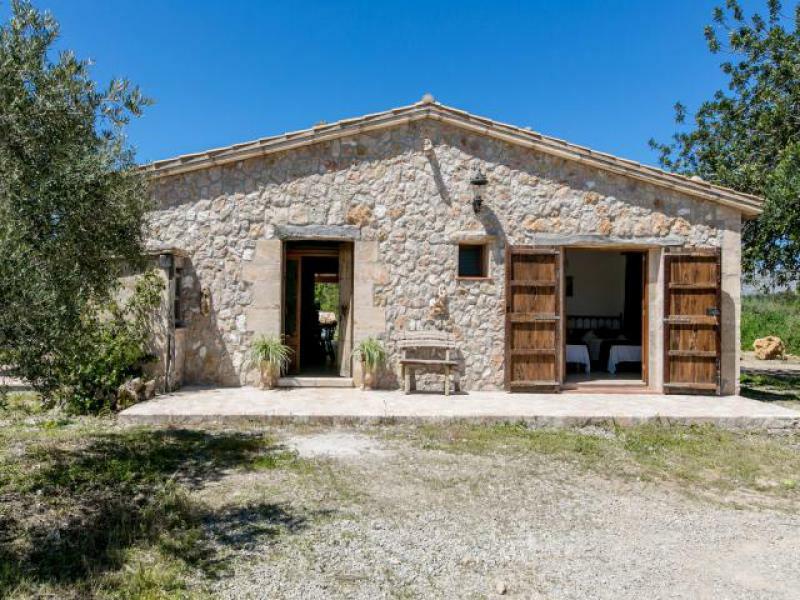 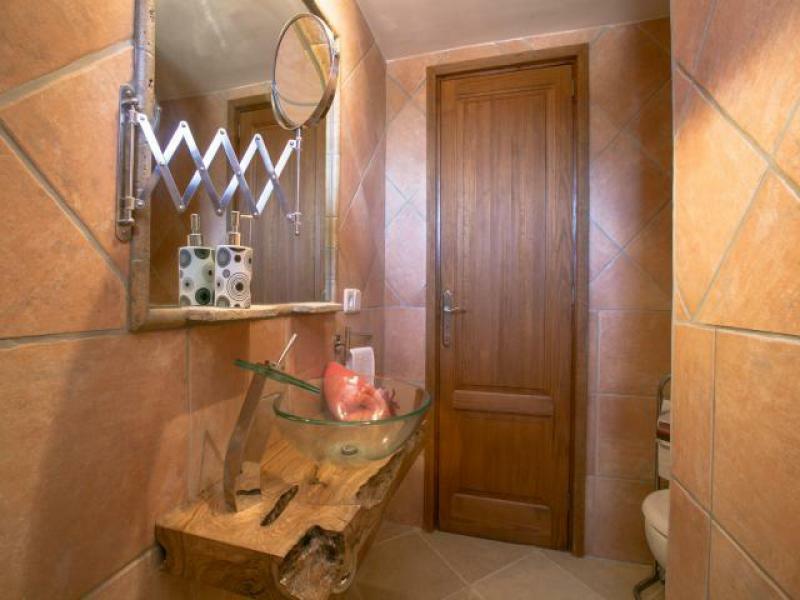 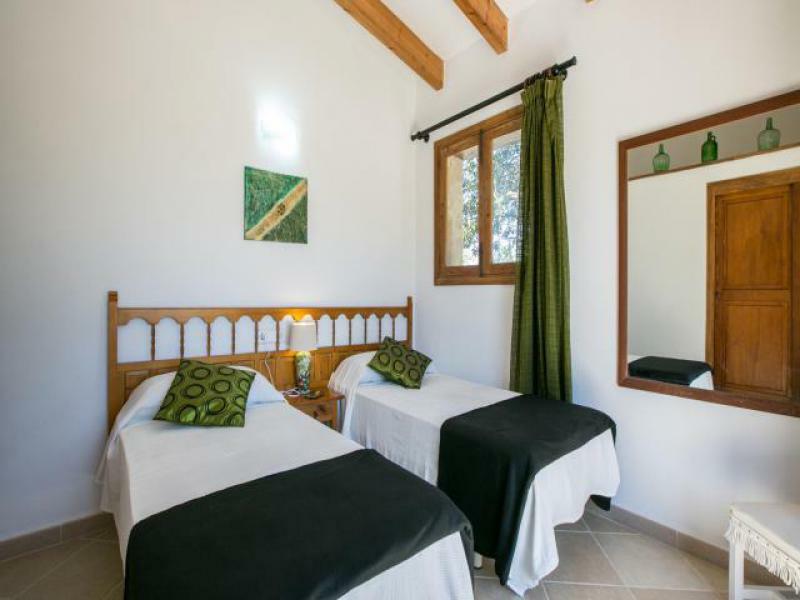 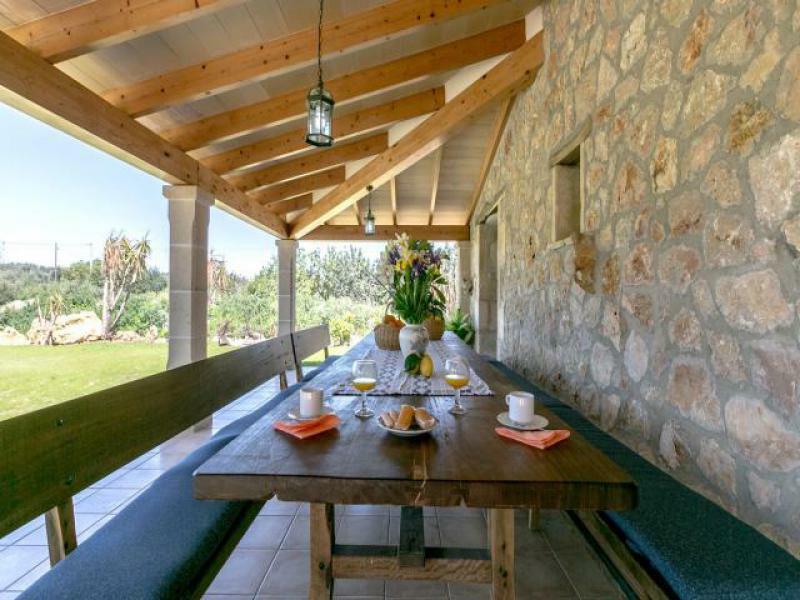 Fantastic country villa located in the outskirts of Pollensa, offering totally privacy. 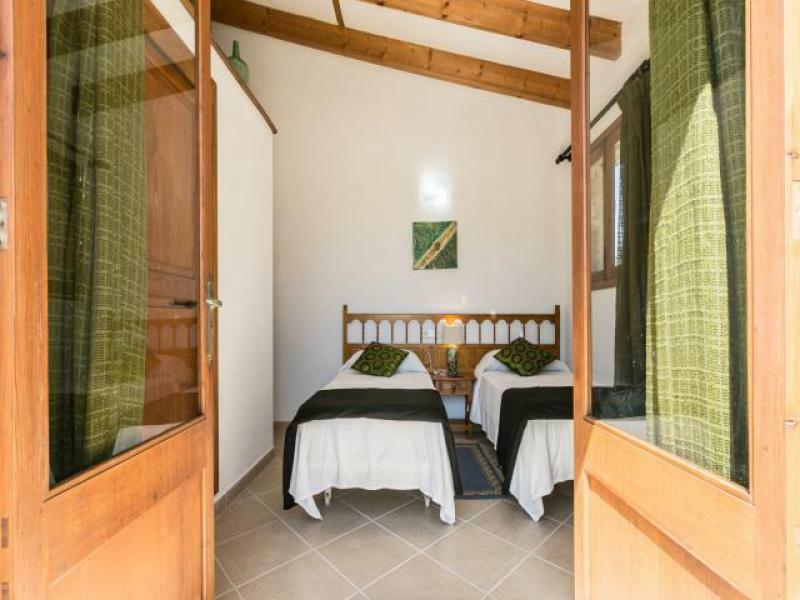 This great 3 bedroom property can accommodate up to 6 guests in 2 twin bedrooms which share a family bathroom and a master suite with double and en suite bathroom. 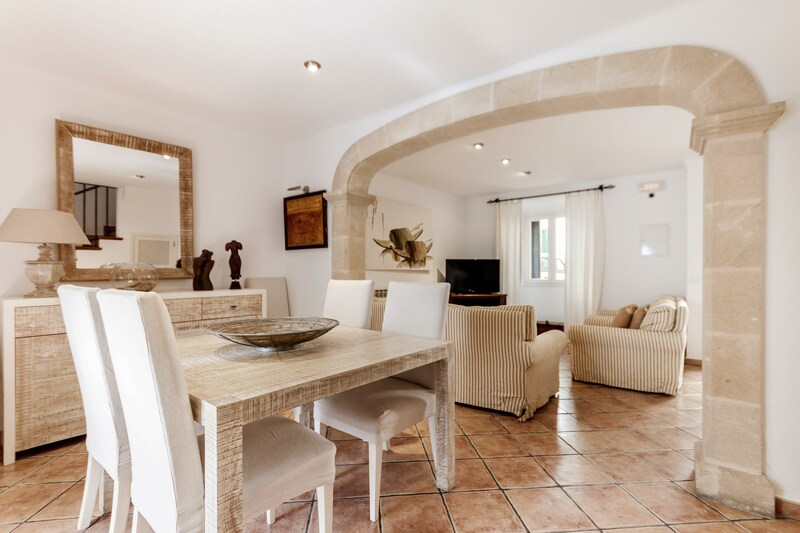 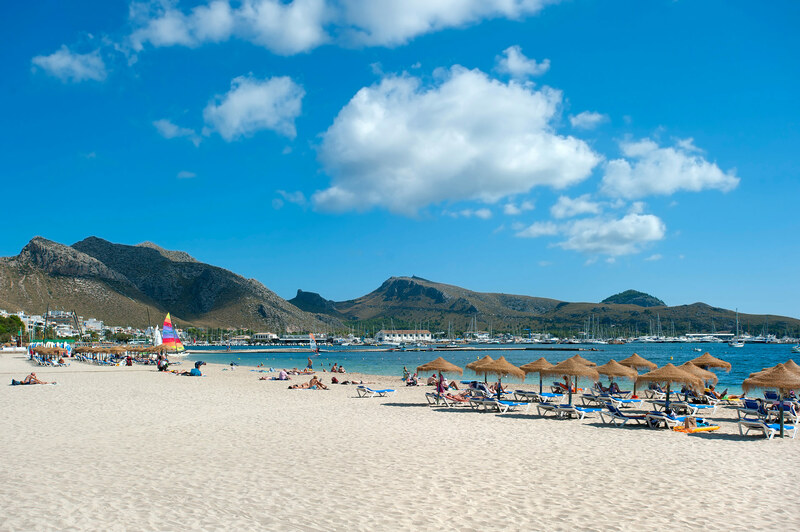 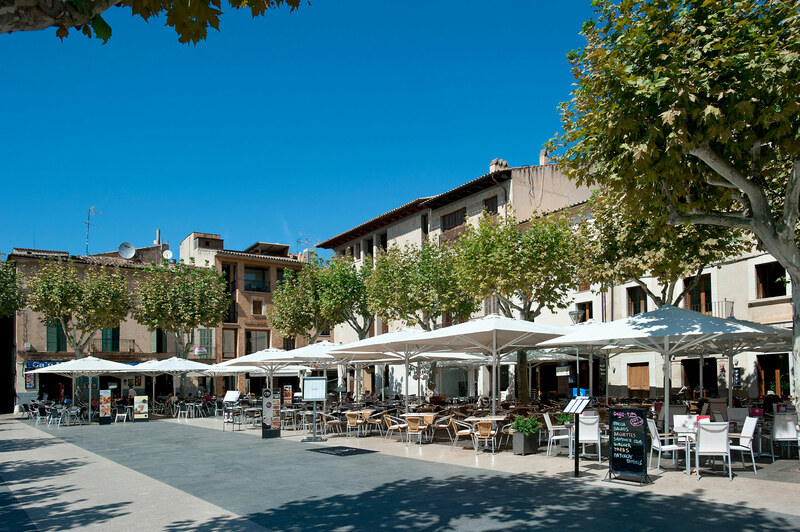 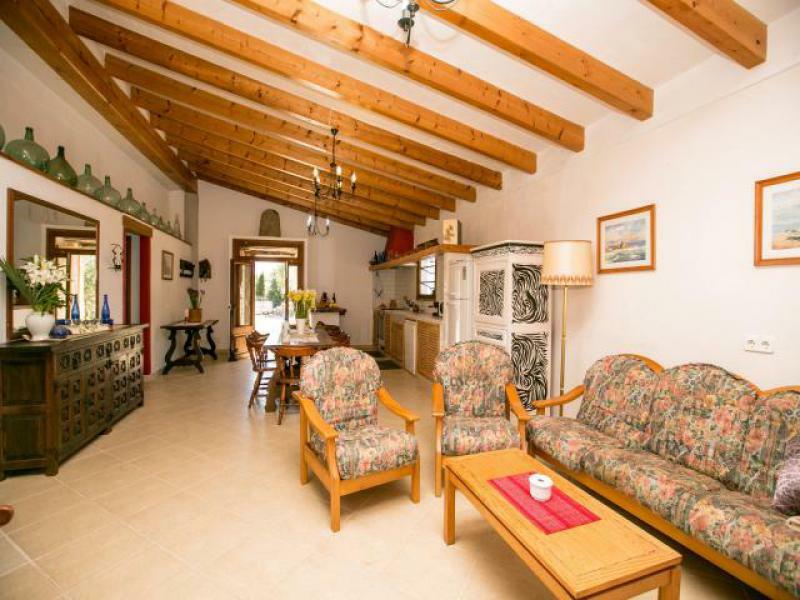 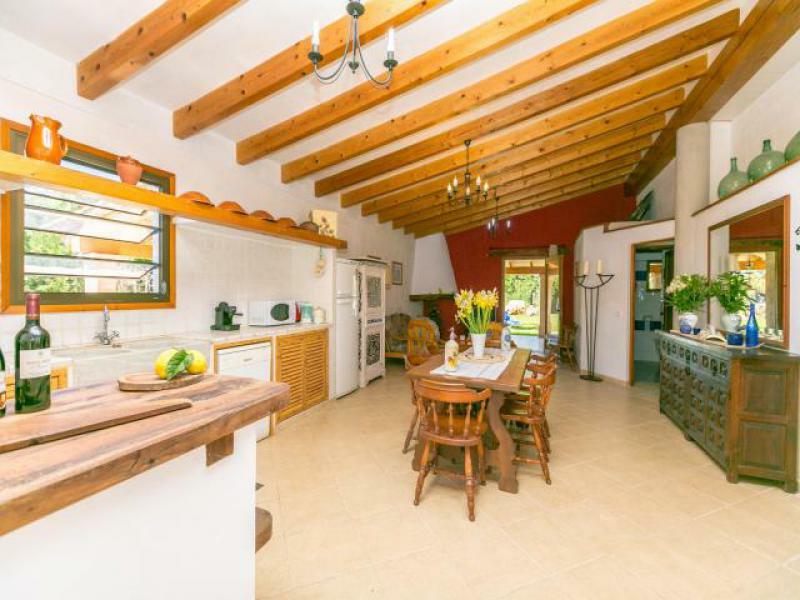 The living area consists of a living/dining room decorated in typical traditional Mallorcan fashion with a sofa, chairs, dining table and chairs. 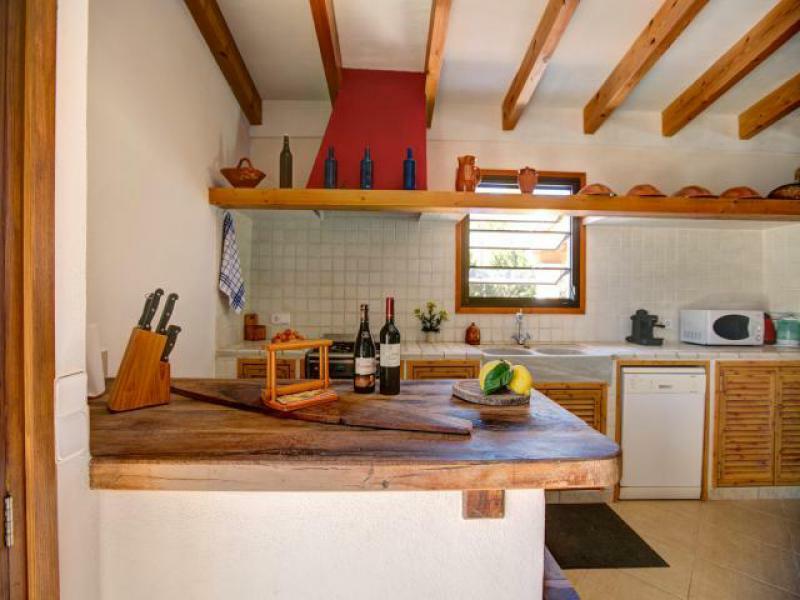 The kitchen is also attached to this room and is fully equipped. 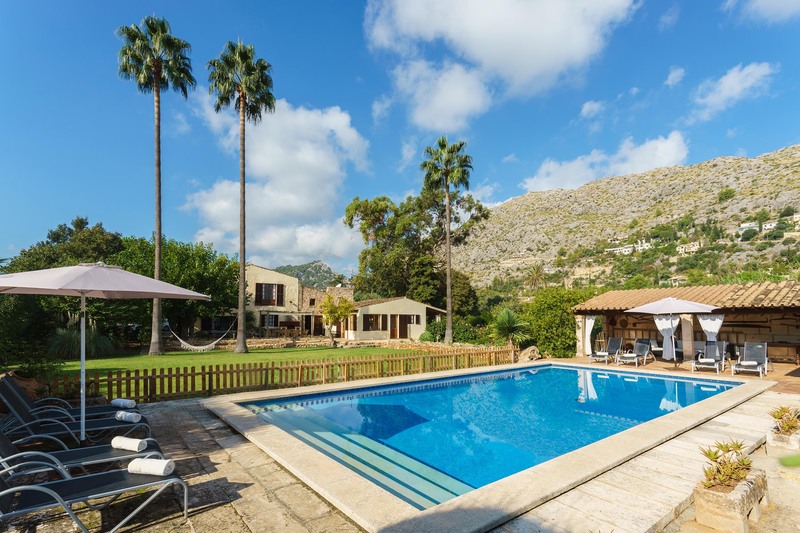 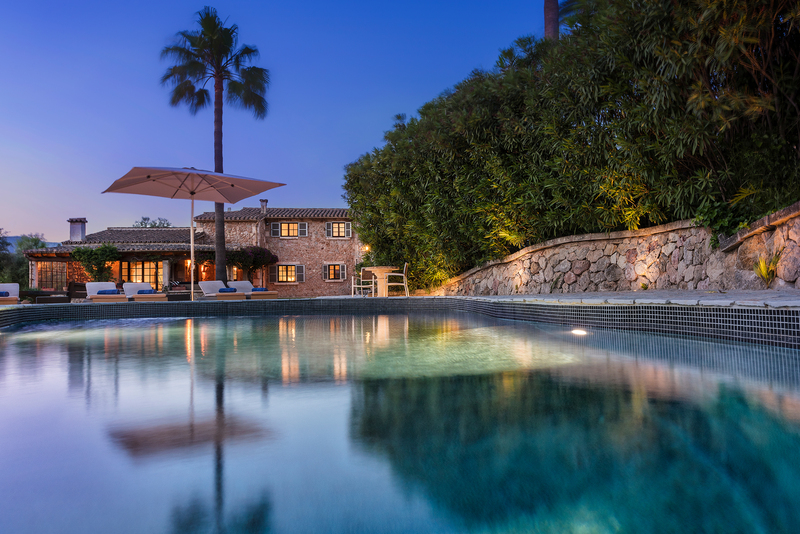 Outside of the house there are covered terraces with outside dining furniture, a large swimming pool with sun loungers, surrounded by a lush green lawn.